minecraft map download | Surviving Minecraft, Minecraft Adventures! 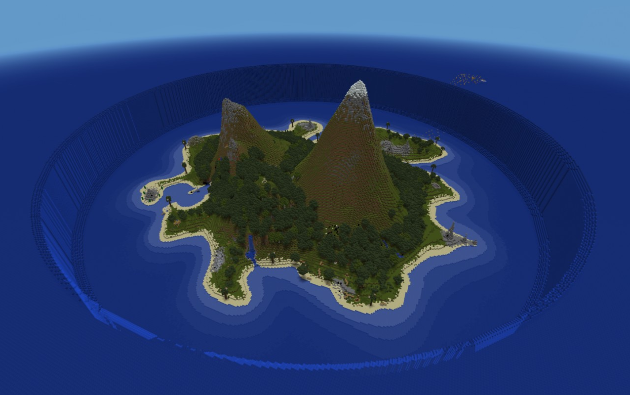 Check out more screenshots and download this realistic minecraft map! This entry was posted in Minecraft World Save Files and tagged empty minecraft map, minecraft bare map download, minecraft map download, minecraft map realism, minecraft server map on February 18, 2013 by Hope. Biosphere Invasion, Crazy Minecraft Adventure Map Of Many Deaths! 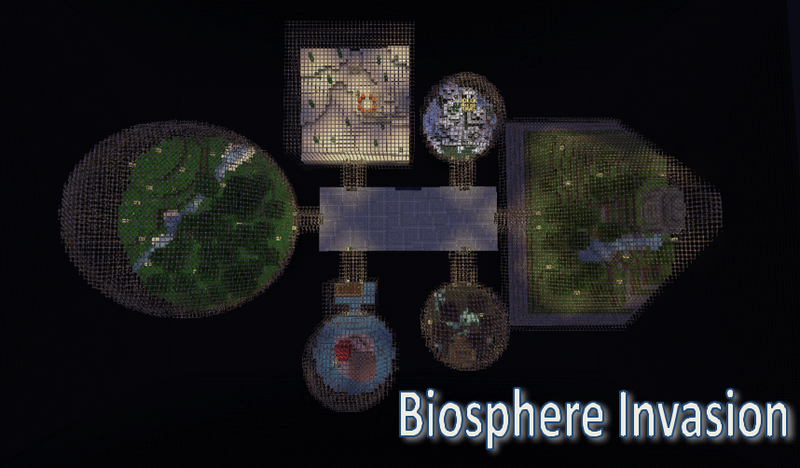 Biosphere Invasion is much more than some glass encased biomes floating in the depths of outer space, it is a minecraft adventure experience with custom mobs, shops, boss fights and even a coherent storyline told via command blocks. 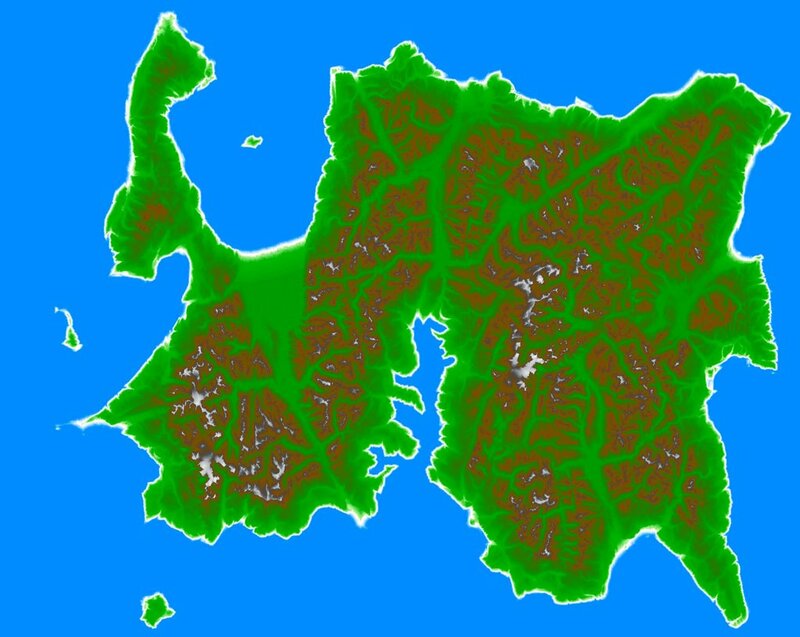 This is the minecraft adventure map of the future, the 1.4.6 adventure map of 2013. This entry was posted in Adventure Maps, Puzzle Maps and tagged minecraft map download, minecraft maze maps, minecraft puzzle adventure, minecraft puzzle maps on January 9, 2013 by Hope. Have you ever felt that your minecraft map playing experience just wasn’t deep enough? Sure you collected a lot of emeralds and maybe you beat a boss or two, but something was missing. There was something more to be had from the experience, a certain sense of release and relief, a cleansing of minecraft body and soul. Catharsis is a map that transcends mere mappery. It is an experience, a journey to the very center of a dangerous landscape – the landscape of your soul. This entry was posted in Adventure Maps, Complete The Monument, Survival Maps and tagged catharsis minecraft map, minecraft map download, original minecraft map on January 8, 2013 by Hope. A trip to the airport is always fun, especially when its an airport made in minecraft! This very realistic minecraft map download lets you play among the baggage claim and frolic about beneath the chocks of a 747 just waiting to take off to some magical far off minecraft destination. This map includes an air traffic control tower, plane on the runway, gates placed at awkward angles – everything bar the passengers jogging through the terminal with their luggage flailing about them as they try to make their flight on time. 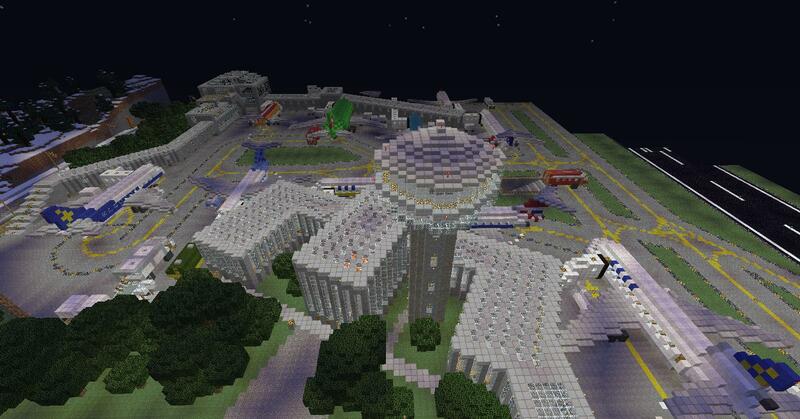 Download this Minecraft Airport Map! This entry was posted in Minecraft World Save Files and tagged minecraft airport, minecraft map download, minecraft plane on January 6, 2013 by Hope. Lunar Awakening is a stunning minecraft adventure map set in a fantasy realm that will entrance you beyong imagination. Created by an artist and a poet, this adventure map has a strong sense of story, not just told in notes or books or signs, but in the very blocks it is built with. As you travel through landscapes measureless to man and into the stately domes of your own Lunar Awakening, you will find yourself caught up in an adventure worthy of not just a new year, but a new era in minecraft. Click for the Lunar Awakening review and download! This entry was posted in Adventure Maps and tagged beautiful minecraft, lunar maps, minecraft adventures, minecraft fantasies, minecraft fantasy map, minecraft map download on January 1, 2013 by Hope. 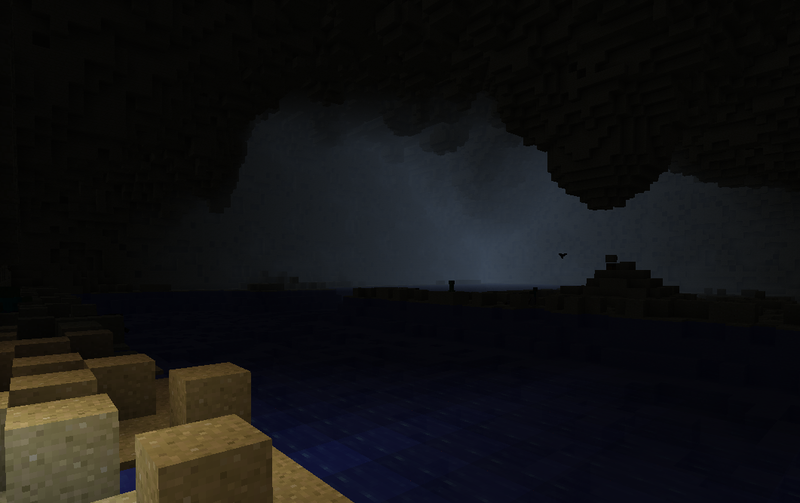 The Sunken Island is a minecraft adventure map that begins with a fairly sunken boat and a trail of debris heading off into the horizon. When one follows the debris, one finds a huge hole in the ocean. Yes you read that correctly, a hole in the ocean. Sort of like what might happen if Moses opened an island time share. At the bottom of this hole in the ocean is the Sunken Island. A title which will now be abundantly clear and reasonable to even the sternest skeptics who did not understand how an island could ever be sunk. Click here to read more, check out screenshots and download Sunken Island! This entry was posted in Adventure Maps and tagged minecraft island adventure map, minecraft island download, minecraft map download on December 2, 2012 by Hope. This *NEW* type of minecraft survival map places farming at the fore. In order to complete the challenges, you must farm and trade your way to gaining the substances you hold so dear. The objective of the game is to level up and gain XP through the art of farming. 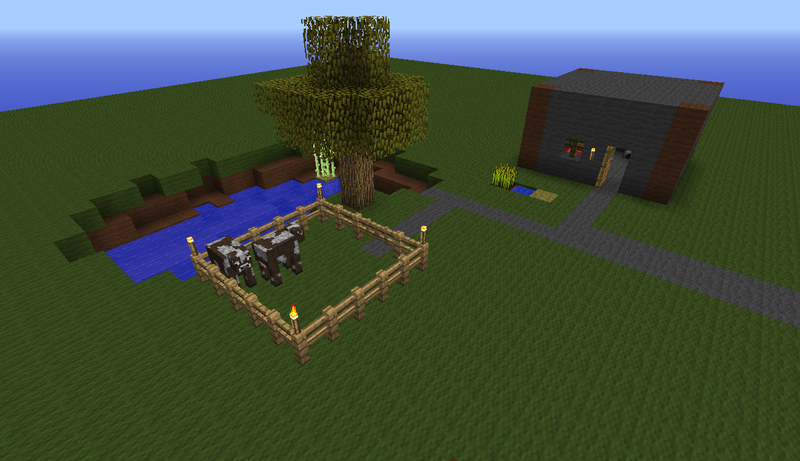 Basically this is Minecraft’s answer to Farming Simulator 2013. Click here to read more and download this exciting new minecraft farm survival map! This entry was posted in Survival Maps and tagged minecraft farm map, minecraft farm survival, minecraft map download, survival on October 29, 2012 by Hope.